Al-Ayyam Al-Jamilah, "Pleasant Days," is produced for annuitants, families and friends of Saudi Aramco, formerly Aramco, and its associated companies by Aramco Services Company. 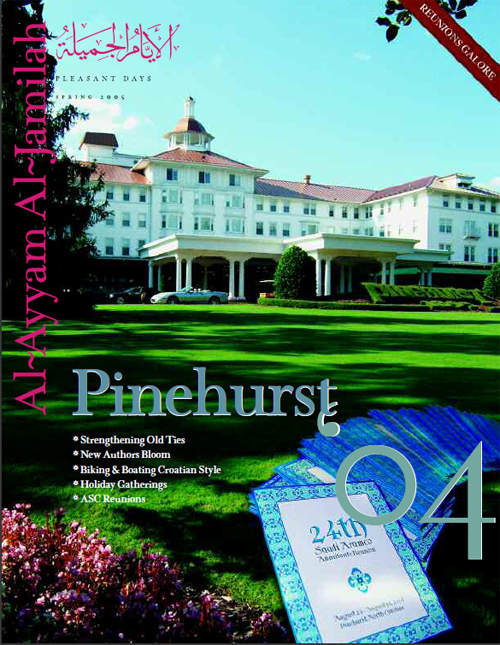 Please enjoy downloading the PDF files of the current and past issues of Al-Ayyam Al-Jamilah. Al-Ayyam Al-Jamilah - Spring 2005 If good international relationships are developed on good individual relationships, the 70-year-plus ties between the United States and Saudi Arabia would seem to be in good shape after an eight-day visit of 12 retired Saudi Aramco employees and family members that ended March 5.